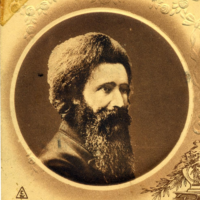 Hillel Zeitlin (1871-1942) was the leading figure of what may be called “philosophical neo-Hasidism” among Eastern European Jews in the pre-Holocaust era. A tireless author, journalist, and polemicist, he published constantly in both the Yiddish and Hebrew presses, offering a bold new vision of contemporary spiritual life grounded in his reading of Hasidic sources. But Zeitlin sought to become an activist as well as a literary figure. He was especially concerned with the situation of the rootless Jewish youth. Throughout his career as a public figure, beginning shortly after World War I, he issued calls for a new organization of Jewish life. 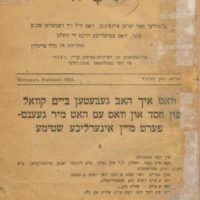 In a series of articles published in the 1920s, he sought to form an elite Jewish spiritual fraternity to be called Yavneh, which was the most fully elaborated of his attempts at intentional community. The present study collects together Zeitlin’s Yiddish writings on the Yavneh fellowship, describing its ambition and scope within the context of interwar Jewish and Yiddish culture. 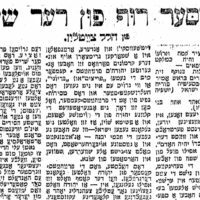 Alongside his articles and essays published in the Yiddish press, we also present a newly discovered manuscript signed by Zeitlin, a single-sheet four-sided text in which he describes more succinctly and clearly the nature of the group and its intended function. 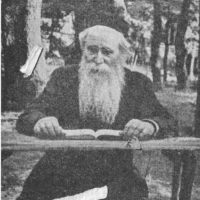 An introduction to the writings by Hillel Zeitlin on the intentional, neo-Hasidic community he tried to create in Warsaw in the 1920s. 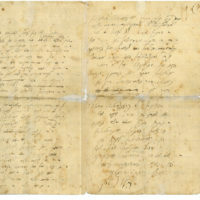 Translations of nine essays and articles by Hillel Zeitlin about his plans for a new Jewish spiritual fraternity called Yavneh.